Receiving spam is like those telemarketers who call at dinner time, completely annoying and you didn't ask for it. Luckily you can stop this now! Now with free Android, iPhone and iPad version! 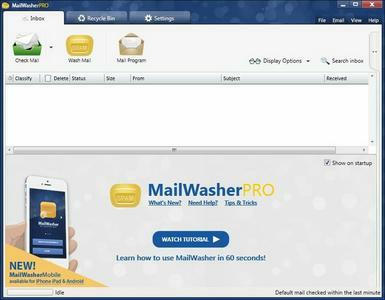 Install MailWasher today to screen all your email accounts in one place and allow only the email you want in your inbox.